Nellys - Serving great locally sourced lunch in Portobello and brunch and lunch in Drumcondra. 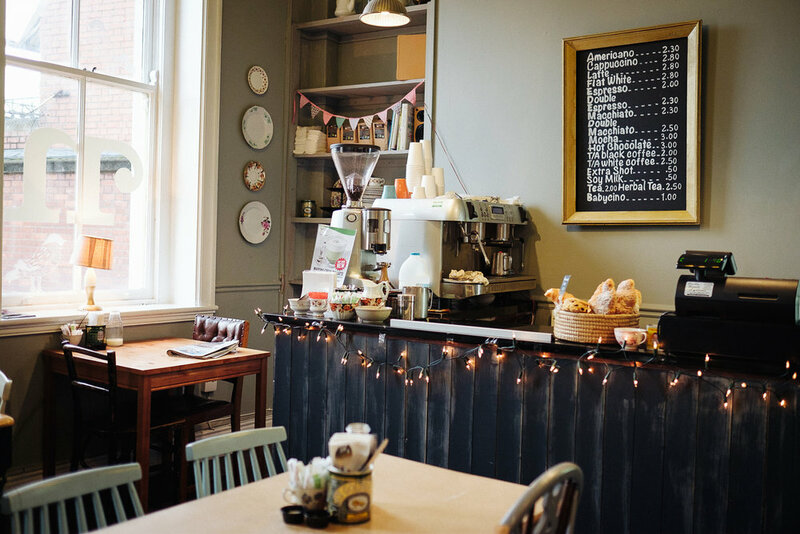 Nelly's is a cosy space in The Arts and Business Campus in Drumcondra. We are surrounded by fantastic individual small businesses. We are the perfect refuel stop after browsing some unique hand-made crafts, organic and local food produce or even a yoga or a gym session. We love food! We bake lots of fresh cakes everyday using the finest ingredients we can find, always made with the best organic free-range eggs from Co. Wicklow. Our breakfast and lunch menu is full of healthy wholesome food served with a smile. We change our menu as often as possible and we always have tasty specials. We pride ourselves in our food and so we choose the best local suppliers. Our coffee comes from Imbibe Coffee Roasters in Dublin 8, our bread comes from Arun Bakery in Dublin 7 and our fruit and veg from Vernons in Dublin 3. Using these top suppliers allows us to offer the very best food to you, our customer. We are open Monday to Friday for breakfast and lunch and Saturday and Sunday for all day brunch.